Anime Limited have today announced a brand new exhibition coming to the UK, showcasing the work of director Mamoru Hosoda – best known for films such as The Girl Who Leapt Through Time, Summer Wars, Wolf Children, The Boy and the Beast and the upcoming Mirai. Entry to the event is free, and it will be held at Noho Studios in London, a short walk from Oxford Circus. The exhibition will run from Saturday 13th October through Saturday 20th October 2018, and will feature storyboards, artwork and interactive elements from across all of Hosoda’s well-known films. Entry is free, and there will be a gift shop featuring merchandise not previously available in the UK. Mamoru Hosoda has had a huge impact in the UK ever since The Girl Who Leapt Through Time – we’re very honoured to be hosting the first exhibition of this kind to showcase his work to date. There’s no better time to explore the works of this incredibly talented director, when Mirai has been welcomed as the Gala film for Family at the BFI London Film Festival. If you’re interested, you can find further details in Anime Limited’s official blog post. Are you going to the event? Let us know in the comments! English Dub Revealed for Mirai’s November Cinema Release! 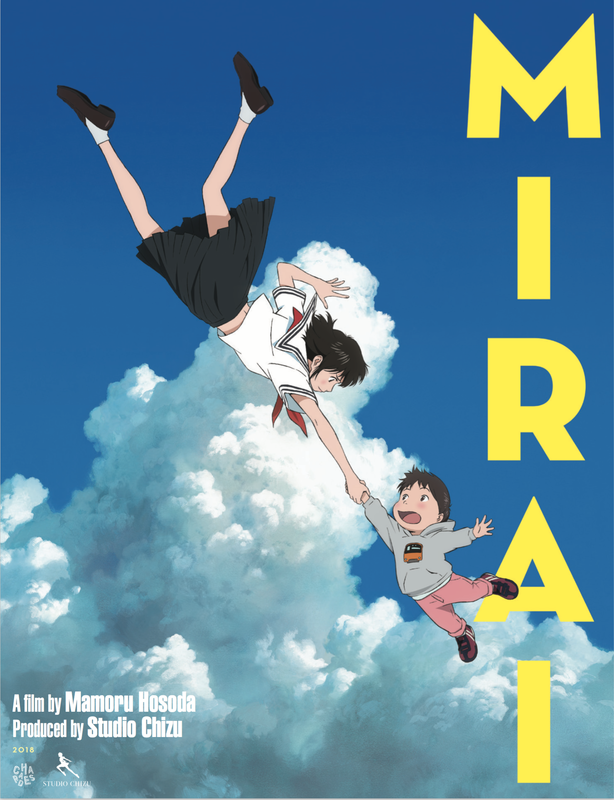 With Mamoru Hosoda’s “Mirai” opening in UK cinemas this November, Anime Limited have confirmed that tickets are now on sale – with an extra day allocated to a newly announced English dub!